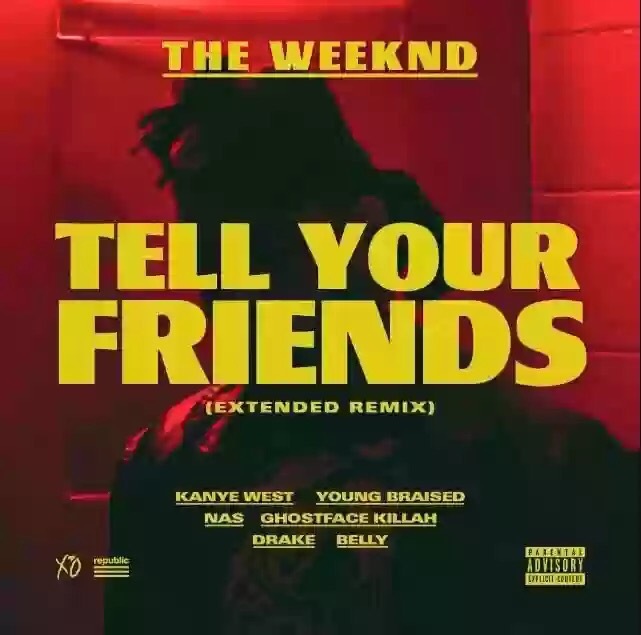 The Weeknd starts off his new XO SoundCloud channel (which is reserved for “rarities, remixes, and other unreleased material”) in fashion by dropping two massive treats for his fans today, “Tell Your Friends” with an extended remix, which compiles verses from Kanye West, Drake, Nas, Ghostface Killah, Belly and Young Braised from various freestyles and performances (Nas’ verse comes from his Met Gala set, for example). On top of that, there’s “Secret Passionfruit,” a mashup of The Weeknd’s “Secrets” and Drake’s “Passionfruit,” which premiered on OVO Sound Radio. Joining Ghost on the Canadian R&B titan’s song are Kanye West, Nas, Drake, Belly and — a bit amazingly — indie Vancouver rapper Young Braised, Pitchfork points out. The extended remix collects West’s verse from his previously released SoundCloud drop “When I See It,” while Nas’s verse comes from a Met Gala performance last year, The Weeknd has also shared a mashup titled “Secret Passionfruit,” which brings his Starboy smash “Secrets” together with Drake’s “Passionfruit” from More Life.